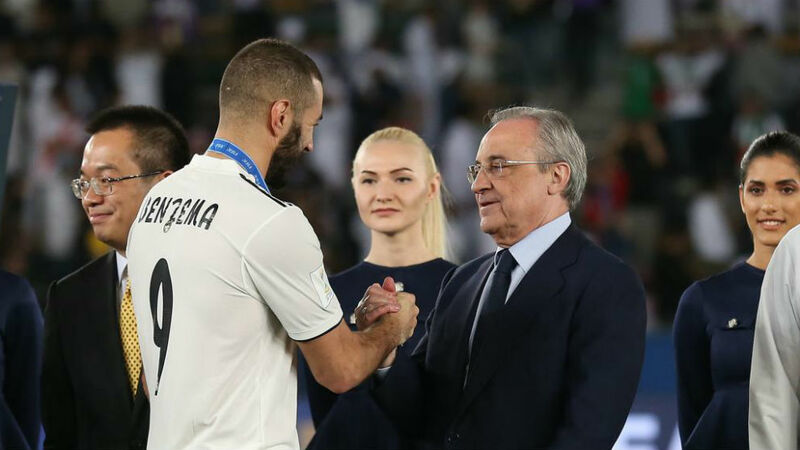 Real Madrid president Florentino Perez has claimed that Real Madrid do not need to sign a new striker as Karim Benzema is the best No. 9 in the world. The 71-year-old businessman has also indicated that Los Blancos‘ current transfer policy dictates the acquisition of young promising players. “I insist that we have the best squad in the world and the titles back us up on that,” he told France Football. “We are not going to spend for spending’s sake, for example. “I have read and heard in some media outlets for years that Madrid need to sign a striker when reality clearly shows that Karim Benzema is the best forward in the world. Perez went on to discuss Luka Modic‘s Ballon d’Or award, as well as the mentality of the team. “Madrid players have been awarded the last three Ballon d’Ors,” he added. “We are very happy for Modric as his football and what he represents is part of our legend. “He represents our values and I am sure that young people who will be at Real Madrid will be solid candidates in the future. Finally, he praised Paris Saint-Germain president Nasser Al-Khelaifi for his contribution to French football. “[PSG] are already a great and friendly club, who are part of the football elite,” he noted. “We do not need to give any advice to them because they have positioned French football in the place it deserves.